Lietuvos Geležinkeliai (Lithuanian Railways, LG) does not intend to deny the competition violation established by the European Commission (EC), however, intends to go to court over the size of the fine, says the country's President Dalia Grybauskaitė. "As far as I know about the wording that has been laid down as the Lithuanian position, they are not disputing the violation itself, as it is physically evident, and (the railway stretch to) Renge will have to be rebuilt (…). 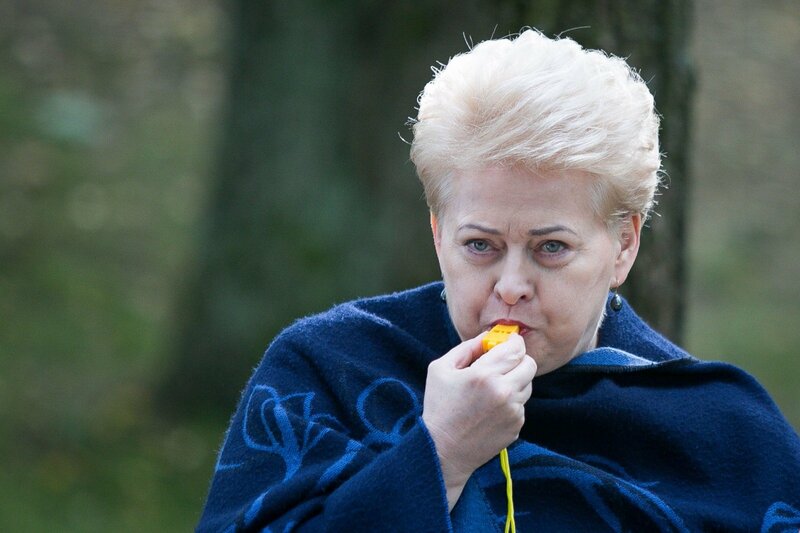 The claim will be about the calculation formula, only the sum (of the fine)," Grybauskaite told Vilnius journalists on Wednesday. "When we manage to prove the size of the damaged caused, we will hold relevant talks with our partners (Poland's Orlen and Latvian railways). The damage has been done, we are now only talking about the size and the country's reputation," the president added. Earlier on Wednesday, LG CEO Mantas Bartuška stated that the company intended to file a claim against the EC finding of October 2 to impose a fine of nearly 28 million euros for the 2008 dismantling of the railway tracks from Mažeikiai, northern Lithuania, to Latvia's Renge, which was important for Orlen Lietuva. The EC finding can be appealed to the Court of Justice of the European Union in Luxembourg.